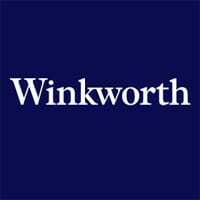 Estate agent Winkworth‘s Knightsbridge, Chelsea and Belgravia office is using NFC keyrings to deliver detailed information about properties to customers. The keyrings, which contain embedded NFC tags supplied by content management platform provider Tamoco, have been attached to the door keys of all the properties the agency has listed for sale, and link to information specific to each property. Customers viewing properties can tap the keyring with an NFC phone to view pictures, detailed descriptions and floor plans of the house. Tamoco manages the tags and can change the information that the customer is redirected to whenever Winkworth requires. Tamoco CEO Maximilian Birner told NFC World: “These keyrings are going to be extended to the whole of Winkworth plc. Soon, they won’t need any paper for viewing information. “That’s exactly why the campaign doesn’t use QR codes too; there is no way you can print the QR codes on the keyrings and a customer would have to carry a catalogue or a flyer containing a QR code for them to scan, and we want to eliminate the need for paper.